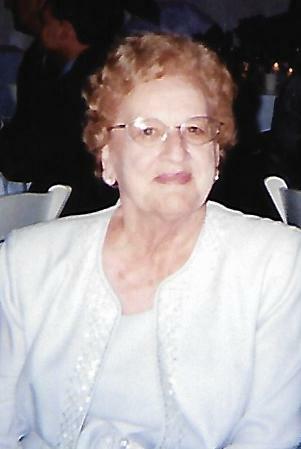 Mary Catherine Bollenbacher, age 92, of Rockford, Ohio, died on Tuesday morning, September 25, 2018, at The Laurels of Shane Hill in Rockford, Ohio. She was born on September 16, 1926, in Berne, Indiana, the daughter of Lewis and Laura (Kessler) Schaadt. On May 31, 1947, she married Robert "Rex" Bollenbacher, and he preceded in death on August 23, 2017. Mary Catherine was a homemaker and worked on the farm with her husband, which they owned together. She moved to Rockford in 1947 after marrying Rex and became a member of St. Paul's United Church of Christ. She was active in the church as a member of the Women's Guild and served on the Funeral Dinner Committee for many years. She also worked part-time at Sears. Surviving are two sons: Randy Bollenbacher of Murrysville, PA. and Dennis (Annie) Bollenbacher of Rockford, Ohio; three grandchildren: Lorie (Kevin) Koch, Dublin, Ohio; Shane Bollenbacher, Fort Recovery, Ohio; and Jason (Megan) Bollenbacher, Mendon, Ohio. Also surviving are one step-grandchild and five great-grandchildren. Deceased in addition to her husband, Robert “Rex”, are two brothers and two sisters: Herb Schaadt and Frederick Schaadt; and Luetta Laffin and Wilma Gehm.. Three sisters-in-law are deceased: Anna Rabe, Mary Rose Schaadt, and Eda Schaadt, in addition to four brothers-in-law: Merle Rabe, Dwight Laffin,, Earl Gehm, and Harold Frahm. A daughter-in-law, Patty Bollenbacher is also deceased. Funeral services for Mary Catherine will be held at St. Paul's United Church of Christ on Saturday, September 29, 2018, at 11:00 a.m. with Rev. Katherine Beckett officiating. Burial will be in the church cemetery. Friends may call at Ketcham-Ripley Funeral Home on Friday from 4-8 pm, and on Saturday at the church, one hour prior to the service. Condolences may be expressed at ketchamripley.com.